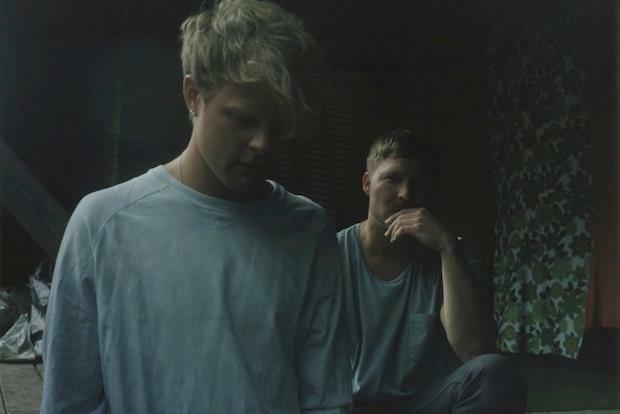 The Swedes are continuing their not-so-hostile takeover of the U.S. music scene with dreamy electro pop duo, Korallreven. Starting next week, the band will be playing their first shows in the U.S. in support of their beautifully ambient 2011 debut, An Album By Korallreven. The good news: The band will be making a stop in Chicago on March 6th @ Lincoln Hall. The bad news: Victoria Bergsman won’t be making a guest appearance at that particular show. If you haven’t heard her in the bands Taken By Trees or The Concretes, you should definitely give them a spin too. Check out and download their ethereal song, “Sa Sa Samoa” (ft. Juliana Barwick) below and download the “For Real For Sure For You” remix of the song. This entry was posted in Hear No Evil, Mini Reviews, Upcoming Shows and tagged Chicago, Chicago Concerts, dream pop, electro pop, electropop, ethereal music, free download Korallreven, Korallreven, Lincoln Hall, Victoria Bergsman by Mia. Bookmark the permalink.